I have some big news to share - we bought a house!!! It actually happened the same week as our "house heart-break." We were able to move past that and ended up finding a great house that suits us well. Within a few hours of making the offer, the sellers had countered, and we had accepted. 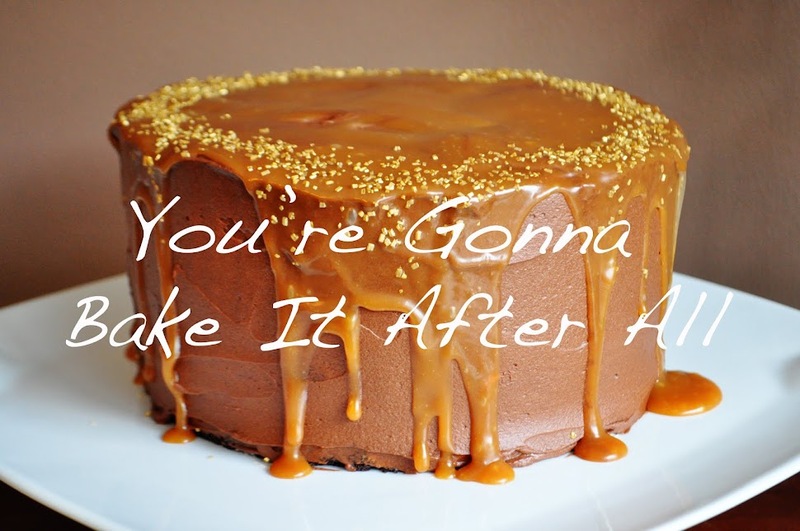 We were able to get a 60-day escrow so we don't overlap with our current lease, so we close September 17. We are really excited! I waited until after the inspection to announce it, so hopefully we won't have any snags along the way. 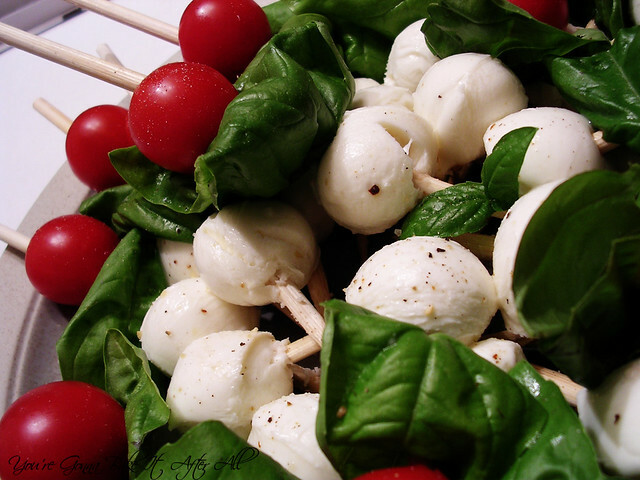 Assemble tomatoes, mozzarella, and basil on skewers. Sprinkle with garlic pepper/salt (I used a McCormick grinder), to taste. Chill until ready to serve. Offer balsamic vinegar and olive oil while serving. Genius! And gorgeous! So glad you guys have a house....ready for visitors yet? They look terrific and this is a must try! Way to go! 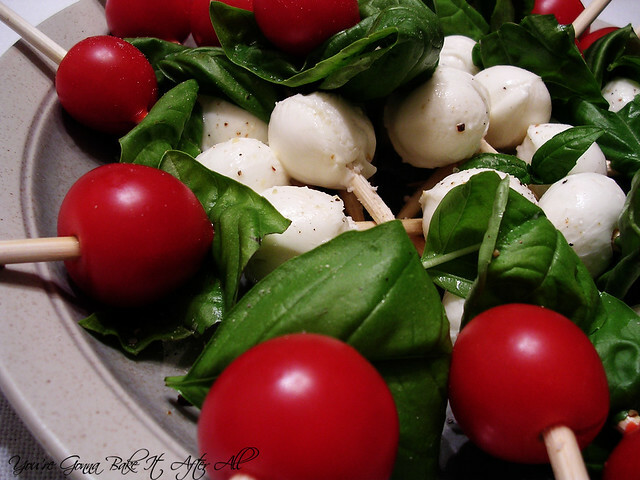 These are so pretty and I love the spin on caprese salad! 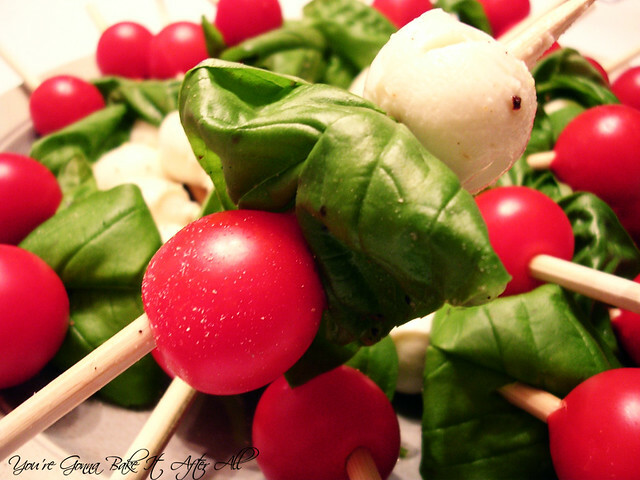 Caprese skewers are so fun and always such a hit at parties -yum! 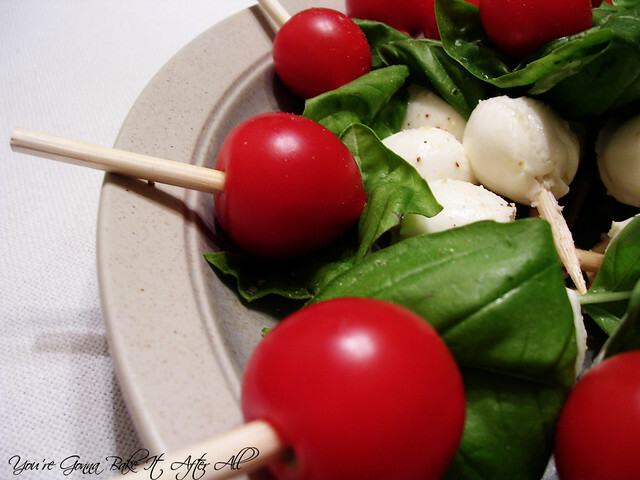 love these skewers, such a great appetizer! Nice nice blog and pix. Would suggest less pix of one thing in the posts though. Only som many ways we can see a tomato on a skewer. Delish looking stuff. A balsamic reduction is very easy to make and keeps safely in the refrigerator for at least a month.So it is nice and quick to made.